We wanted to bring you a real life review of Perfect PushUp. This product was really intriguing to us and we wanted to bring it to our table and give it our analysis. With the recent health craze, everyone is turning toward exercise routines and the market has introduced products to aid fitness. Before buying a product, it is important to know if it really works and if it is worth the money that you pay. 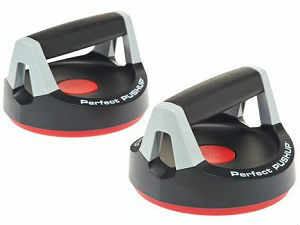 Perfect PushUp is a fitness aid designed to make push-ups easier for you. It is two simple "bell" type devices with handles that elevate your hands up off the floor. 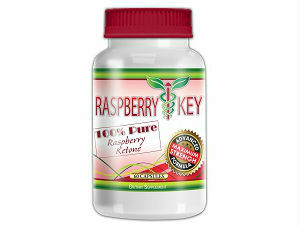 This product has been seen on television and internet ads. Believe it or not, this simply designed product has had some successful sales. Let's face it push-ups are very hard to do, but worth the effort. Perfect PushUp doesn't really make push-ups any easier, but is designed to keep the body in a good alignment and the handles swivel during the exercise. Push-ups are a very basic form of exercise that work all the muscle group in the body and uses the body's weight to strengthen the muscles. This product can really make your push-ups more effective. The main claim from the makers of Perfect PushUp is that moving your hands in a "swivel" motion while doing a push-up makes it more effective. It also makes push-ups harder to do. This is true because it makes it possible to work more muscles than just an average push-up. This makes each push-up more effective and you can even get the same results with less push-ups in your work-out routine. The website also claims that the rotation makes the push-ups easier on the joints. 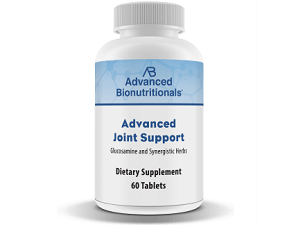 This is very helpful for those who suffer from joint pain in the wrists, elbows and shoulders. What we discovered with our analysis, is that perfect push-up can in fact make push-ups more effective. We honestly believe this product works and is honestly worth buying. You can order the Perfect PushUp online via the website for around $20. They ship within 24 hours and the product arrives pretty fast. You can also purchase them at several major stores and online retailers. There are two versions of this product and the other version is the "V2" model and retails for around $40, although we could not find any added features to make the product worth the price. The basic model is relatively inexpensive and if you forget to use it, your not out too much money. That means buying this product means making a committment to using it. The company offers a 30 Day Money-Back Guarantee, but if you buy at another online retailer or walk in store you will be subject to the return policy of that individual seller. We found through consumer reviews, there really isn't much need to return the product as it really does work to increase your push-up performance. We were pretty impressed with the Perfect PushUp and think that it can really improve your work-out. This product can maximize your push-ups and make them more effective, thus working more muscle groups and protecting your joints at the same time. It is designed to keep a good natural body position and give the hands a more comfortable position. Just be aware that it does not make push-ups easier it actually makes them harder. Fitness trainers use products designed like this often and truly believe that tools such as these really do aid in maximizing push-ups. They believe that people can do less push-ups and get more results with products like the Perfect PushUp. 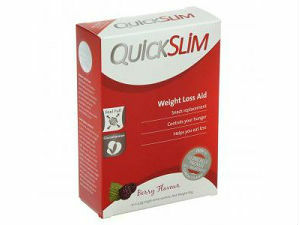 Also, this product takes work just like fitness trainers promote. You have to do the work-out and possibly for quite some time before you begin to see results. Perfect PushUp will help shape your body and give you a max work-out for sure. This product is not for beginners and you should start out slowly and work your way up with it. Like we said earlier, this product makes push-ups harder not easier. You will probably have to start out with just a few push-ups and increase as you can tolerate more. Our analysis of this product enabled us to give it a great review and pass along to you sound information that this is a really good product. Just remember to include healthy lifestyle changes, diet and a full exercise routine into your program and you will see a huge difference!